twelve natural frequencies of the PFPB. Results show that this periodic beam has wide band gaps at low frequency ranges and the band gaps are close to each other. Results also show that the PFPB can efficiently generate voltage from the localized vibration energy over the band gaps. The natural frequencies of the PFPB are close to each other and most of them are out of the band gaps. Therefore, the PFPB can also generate the maximum voltage over a relatively wide frequency range out of the band gaps. In order to show these features better, the voltage output of the PFPB over a wide frequency range is calculated using the ANSYS software and compared with that of a conventional piezoelectric energy harvester. The ANSYS is also used to validate the analytical results and good agreement is found. A periodic folded piezoelectric beam for vibration energy harvesting is introduced. The ADM method is applied for vibration band gap and free vibration analysis. The proposed beam is found to have wide and close band gaps at low frequencies. X.D. Xie, Q. Wang, N. Wu, Energy harvesting from transverse ocean waves by a piezoelectric plate, International Journal of Engineering Science, 81 (2014) 41-48. M.H. Ansari, M.A. Karami, Modeling and experimental verification of a fan-folded vibration energy harvester for leadless pacemakers, Journal of Applied Physics, 119 (2016) 1-10. A.G.A. Muthalif, N.H.D. Nordin, Optimal piezoelectric beam shape for single and broadband vibration energy harvesting: Modeling, simulation and experimental results, Mechanical Systems and Signal Processing, 54-55 (2015) 417-426. M.S. Chow, J. Dayou, W.Y.H. Liew, Increasing the output from piezoelectric energy harvester using width-split method with verification, International Journal of Precision Engineering and Manufacturing, 14 (2013) 2149-2155. C. Eichhorn, F. Goldschmidtboeing, P. Woias, A frequency tunable piezoelectric energy converter based on a cantilever beam, Proceedings of PowerMEMS, 9 (2008) 309-312. T. Reissman, E.M. Wolff, E. Garcia, Piezoelectric resonance shifting using tunable nonlinear stiffness, in: Active and Passive Smart Structures and Integrated Systems 2009, International Society for Optics and Photonics, 2009, pp. 72880G. S.M. Shahruz, Design of mechanical band-pass filters for energy scavenging, Journal of sound and vibration, 292 (2006) 987-998. E.D. Nobrega, F. Gautier, A. Pelat, J.M.C. Dos Santos, Vibration band gaps for elastic metamaterial rods using wave finite element method, Mechanical Systems and Signal Processing, 79 (2016) 192-202. Z.-J. Wu, F.-M. Li, Y.-Z. Wang, Study on vibration characteristics in periodic plate structures using the spectral element method, Acta Mechanica, 224 (2013) 1089-1101. H. Shu, W. Liu, S. Li, L. Dong, W.Q. Wang, S. Liu, D. Zhao, Research on flexural wave band gap of a thin circular plate of piezoelectric radial phononic crystals, Journal of Vibration and Control, 22 (2016) 1777-1789. Z.B. Cheng, Y.G. Xu, L.L. Zhang, Analysis of flexural wave bandgaps in periodic plate structures using differential quadrature element method, International Journal of Mechanical Sciences, 100 (2015) 112-125. M. Hajhosseini, M. Rafeeyan, S. Ebrahimi, Vibration band gap analysis of a new periodic beam model using GDQR method, Mechanics Research Communications, 79 (2017) 43-50. 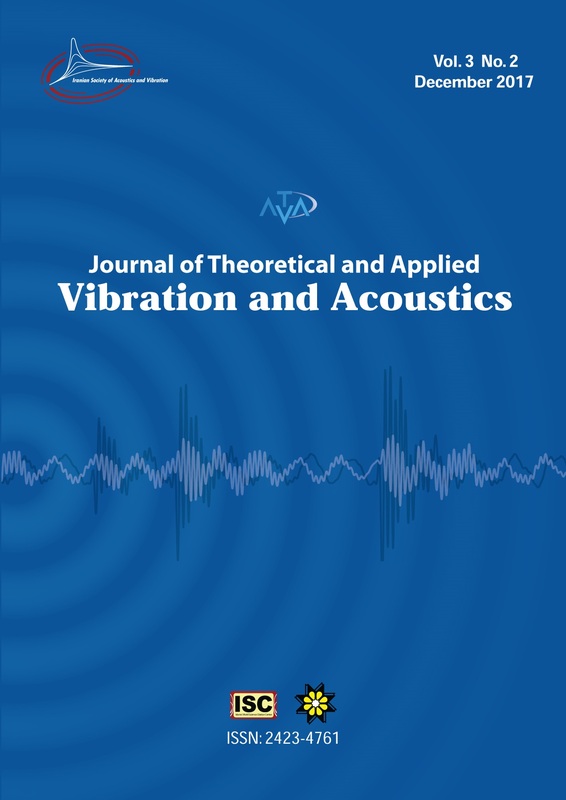 J. Wen, G. Wang, D. Yu, H. Zhao, Y. Liu, X. Wen, Study on the vibration band gap and vibration attenuation property of phononic crystals, Science in China Series E: Technological Sciences, 51 (2008) 85-99. Z. Chen, Y. Yang, Z. Lu, Y. Luo, Broadband characteristics of vibration energy harvesting using one-dimensional phononic piezoelectric cantilever beams, Physica B: Condensed Matter, 410 (2013) 5-12. M. Hajhosseini, M. Rafeeyan, Modeling and analysis of piezoelectric beam with periodically variable cross-sections for vibration energy harvesting, Applied Mathematics and Mechanics, 37 (2016) 1053-1066. S.S. Rao, Vibration of continuous systems, John Wiley & Sons, 2007. C. Kittel, Introduction to Solid State Physics 8th ed,(2005), in, John Wiley & Sons, Inc., New York, 2005. G. Adomian, Solving frontier problems of physics: the decomposition method, Kluwer-Academic Publishers, Boston, MA, 1994. Q. Mao, Free vibration analysis of multiple-stepped beams by using Adomian decomposition method, Mathematical and computer modelling, 54 (2011) 756-764. D. Adair, M. Jaeger, Simulation of tapered rotating beams with centrifugal stiffening using the Adomian decomposition method, Applied Mathematical Modelling, 40 (2016) 3230-3241. A. Erturk, D.J. Inman, On mechanical modeling of cantilevered piezoelectric vibration energy harvesters, Journal of Intelligent Material Systems and Structures, 19 (2008) 1311-1325.